Purpleheart is a dull grayish/purplish brown. Purpleheart lumber has heartwood that is a dull grayish/purplish brown. Upon exposure the wood becomes a deeper eggplant purple. 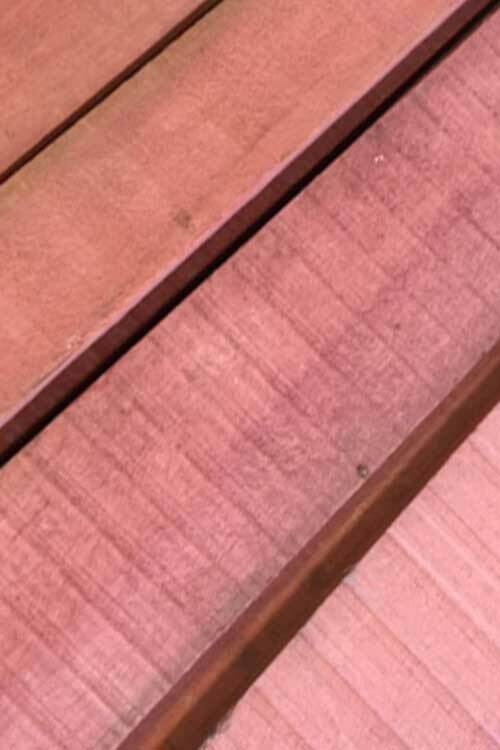 With further age and exposure to UV light, the wood becomes a dark brown with a hint of purple. The grain is usually straight, but can also be wavy or irregular. Has a medium texture with good natural luster. The principal uses are inlays/accent pieces, flooring, furniture, boat building, heavy construction, and a variety of specialty wood items. Available in up to 16 foot in widths from 4 inches to 12 inches and wider. Working with Purpleheart can present some unique challenges: if the wood is heated with dull tools, or if cutter speeds are too high. It will exude a gummy resin that can clog tools and complicate the machining process. Depending on the grain orientation, can be difficult to plane without tearout. Purpleheart also has a moderate dulling effect on cutters.